OCD can be exhausting and all-consuming, causing significant mental agony. Obsessive compulsive disorder (OCD) is a serious but very treatable anxiety disorder characterised by obsessive thoughts and/or compulsive behaviour. Obsessions are recurring and distressing thoughts, mental images or urges that cause anxiety; compulsions are rituals or safety behaviours that the person feels they have to do in an attempt to reduce the anxiety created by the obsessions. OCD can range from mild (obsessive thinking and compulsive behaviour occupy less than one hour of your day) to moderate (one to three hours of your day) to severe (more than three hours of your day). OCD is often known as the doubting disease. It can be exhausting and all-consuming, causing significant mental agony and major interference with family and working relationships. The vicious cycle maintaining OCD. Obsession – An unwanted and intrusive fear or concern – for example, fear that your house will be burgled – repeatedly enters your mind. Anxiety – Feelings of intense anxiety are provoked by the obsession. Compulsion – To reduce this anxiety and distress, you adopt a pattern of compulsive behaviour (for example, checking your windows and doors are locked at least three times before leaving your house). Temporary relief – The compulsion provides relief from anxiety but it is temporary; the cycle of obsession and anxiety begins again. OCD is sometimes called an "affliction of the nice". Why? As well as having an excessive focus on risk and danger, OCD sufferers tend to have an exaggerated sense of responsibility for themselves and others. People characterised by hyper-responsibility believe they have more control over what happens in the world than they actually do. Feeling responsible for anything and everything, this 'niceness' means they can be plagued by doubt and guilt. A need for symmetry or orderliness (for example, wanting everything to ‘line up right’). Avoiding places and situations that could trigger obsessive thoughts. That their relationship must be in trouble (relationship OCD or ROCD). Certain movies and TV programmes have driven a stereotype of the OCD sufferer being someone who always performs overt compulsions such as hand-washing. As a result, many people who obsess over unwanted thoughts but who do not perform visible obvious compulsions, have no idea they are actually suffering from OCD. Frightened by their thoughts, the person is often too embarrassed to talk to others about their problem and the pain they are experiencing. Note that ROCD and HOCD and so on are not official diagnoses or separate diagnostic categories. They are simply common labels used to describe intrusive thoughts pertaining to a particular theme. In all such cases, the diagnosis is simply OCD. The term 'pure O' is an imperfect one, as it implies there are no compulsions. In reality, people tortured by intrusive thoughts tend to engage in more subtle compulsive behaviours. For example, you might check your body in an attempt to get evidence you're not sexually attracted to someone you consider to be inappropriate; you might continually ask for reassurance from others; you might spent hours researching your obsessions, desperately trying to get the certainty you crave; you might silently pray to counteract certain thoughts, etc. It's important to know that compulsions can be mental as well as behavioural. 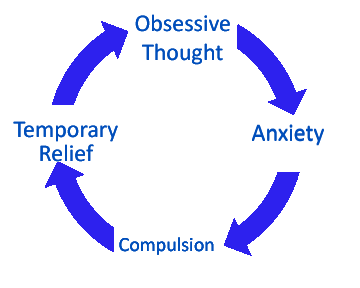 CBT has been proven to help most OCD clients lead normal lives. OCD was once considered very difficult to treat. Traditional psychotherapies and counselling approaches had little impact on the disorder. However, huge progress has been made over the last 25 years and clinical studies confirm cognitive behavioural therapy (CBT) is vastly superior to all other forms of treatment for OCD. The International OCD Foundation recommends CBT for OCD, as does OCD UK and the National Institute for Health and Care Excellence (NICE). The NICE guidelines state: “When adults with OCD request forms of psychological therapy other than cognitive and/or behavioural therapies as a specific treatment for OCD (such as psychoanalysis, transactional analysis, hypnosis, marital/couple therapy) they should be informed that there is as yet no convincing evidence for a clinically important effect of these treatments”. Mild OCD is usually treated with cognitive-behavioural therapy (CBT) alone. In cases of moderate OCD, doctors tend to recommend a more intensive course of CBT or medication (typically antidepressants). For severe OCD, the NICE guidelines recommend combined treatment with CBT and medication. Medication, by controlling the symptoms of OCD, can give CBT the chance to work. Your GP can advise you on this. CBT helps the OCD sufferer to see that their problem is one of anxiety rather than danger and helps the person overcome their need for certainty. Exposing oneself to feared situations (known as exposure and response prevention, or ERP) will also be central to successful therapy. Initially, this involves relatively easy situations, before gradually working up to more difficult ones. Over time, it becomes easier to face to up to the different fears and the anxiety gradually fades away. It's estimated the average OCD sufferer waits between 11 and 17 years before getting treatment. This is a tragedy as we know how to treat OCD; it is, as OCD expert Prof. Paul Salkovskis often puts it, an unnecessary illness (1). Worse, some people never seek treatment, potentially resulting in their OCD lasting for decades and worsening with age. If treated appropriately, “some people go into complete remission”, writes GP, bestselling author and CBT expert Dr Harry Barry, “and the vast majority experience significant alleviation of their symptoms, allowing them to lead normal lives” (2). 1 – Bream V, Challacombe F, Palmer A, Salkovskis P, 2017. 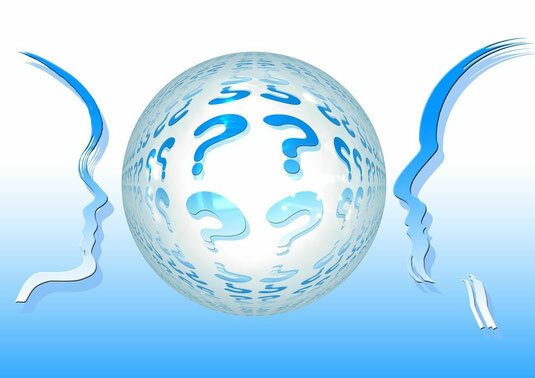 Cognitive Behaviour Therapy for Obsessive Compulsive Disorder. 2 – Barry, Harry, 2016. Flagging Anxiety & Panic: How to Reshape your Anxious Mind and Brain.